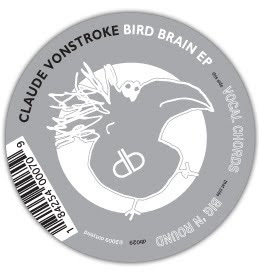 As a homegrown lover of house music and all things four-to-the-floor, I have been amazed at the evolution of the genre (as with all genres, as with all art, as with life), yet it has never been so exciting and faith-replenishing as it has been since I was introduced to the work of a producer called Claude VonStroke of San Francisco, California. Unfortunately, I failed to join my mates in London for one of his first sets at Fabric, possibly his first, but I was fortunate enough to be told how much I missed and was played a particular track called 'Who's Afraid of Detroit?'. 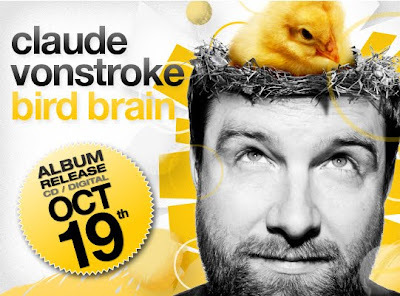 Since then I was hooked and got super keen on Claude VonStroke's label, Dirtybird Records, and his first album, 'Beware of the Bird'. Since then, his productions, and the productions on his label, seem to have evolved so much - it's wild! The sound is tribal, it's techie, it's subliminal, it's deep (as phuck, more often than not), it's ridiculously heavy, it's clearly influenced by old skool flavour and junglist sounds - it's awesome. I may be biased, but this music demonstrates the force and power of sound design at it's best. Since I first got into house music, even since I got my first set of turntables when I was 12 - the music I love has changed so much. Sure, some old stuff still sounds fresh, even futuristic, because there were those that created music like no other and pushed boundaries to the extreme (old 720 Degrees, the most beautiful drum and bass in history?). Dirtybird Records' releases are just like this, they could possibly be timeless, but only time will tell. 'Vocal Chords' utilizes one of the producers key production elements, the vocal, in a completely unique way that is almost indecipherable as a vocal edit. It creates an uplifting cascade that would inevitably hypnotize a dancefloor and hold it in a trance from beginning to end with it's fidgeting, nostalgic bass line and kicking drums. 'Big 'n Round' has a sparse, atmospheric and echoey vibe that feels like you are immersed in the deep end of a packed dance hall while you head nod at your computer. Rolled up with some signature techy synth, it pumps just as the title suggests. Please note the old skool, tribal breakdown. Raw. I have been waiting for the next set to be released and now the wait will seem to last even longer - simply put, I can't wait. If I were you I would head to Beatport and start downloading - and if you ever get the chance to see this man play live, don't miss it, it's an experience. Please head on over to Dirtybird Records and see what they have to say for themselves.